Reference : Khalaf-Prinz Sakerfalke von Jaffa, Prof. Dr. Sc. Norman Ali Bassam Ali Taher Mohammad Ahmad Mostafa (March 2019). 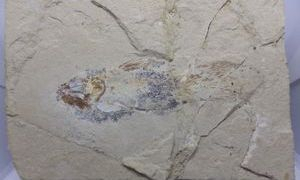 Oriental Coelacanth Fish Fossil (Macropomoides orientalis Woodward, 1942) from the Middle Cenomanian Strata, Sannine Limestone, Hajoula, Lebanon. Gazelle : The Palestinian Biological Bulletin. ISSN 0178-6288. Volume 37, Number 171, March 2019. pp. 1-15. Published by the Prof. Dr. Norman Ali Khalaf Department for Environmental Research and Media, National Research Center, University of Palestine, Gaza, State of Palestine. 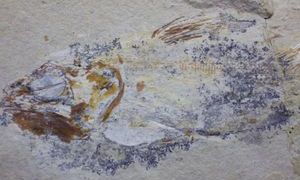 The Oriental Coelacanth Fish Fossil (Macropomoides orientalis Woodward, 1942) from the Upper Cretaceous, Middle Cenomanian Strata from the Sannine Limestone in Hajoula, Lebanon. Dimension of the Fossil : 11 x 3 cm. 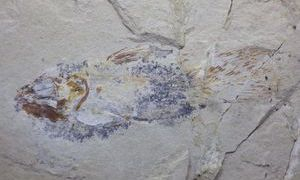 Front part of the Oriental Coelacanth Fish Fossil (Macropomoides orientalis Woodward, 1942) from the Upper Cretaceous, Middle Cenomanian Strata from the Sannine Limestone in Hajoula, Lebanon. Dimension of the Fossil : 11 x 3 cm. 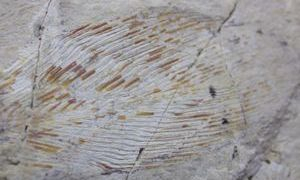 Middle part of the Oriental Coelacanth Fish Fossil (Macropomoides orientalis Woodward, 1942) from the Upper Cretaceous, Middle Cenomanian Strata from the Sannine Limestone in Hajoula, Lebanon. Dimension of the Fossil : 11 x 3 cm. 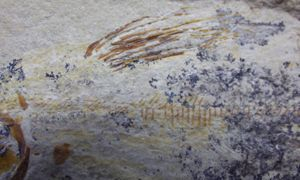 Tail part of the Oriental Coelacanth Fish Fossil (Macropomoides orientalis Woodward, 1942) from the Upper Cretaceous, Middle Cenomanian Strata from the Sannine Limestone in Hajoula, Lebanon. 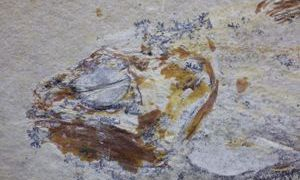 Dimension of the Fossil : 11 x 3 cm.